Hello Linux Geeksters. As you may know, Google Chrome is a popular closed-source browser built on the Blink layout engine, created by Google. The latest version available is Google Chrome 36, which has been recently released. Among others, it comes with 26 security fixes, got better notifications, an updated Incognito mode design, a brand new Browser crash recovery bubble and a new Chrome App Launcher. Unfortunately, the Java elements will not work on this Chrome version and a a fix has not yet been found. For more information about this release, see the official announcement. 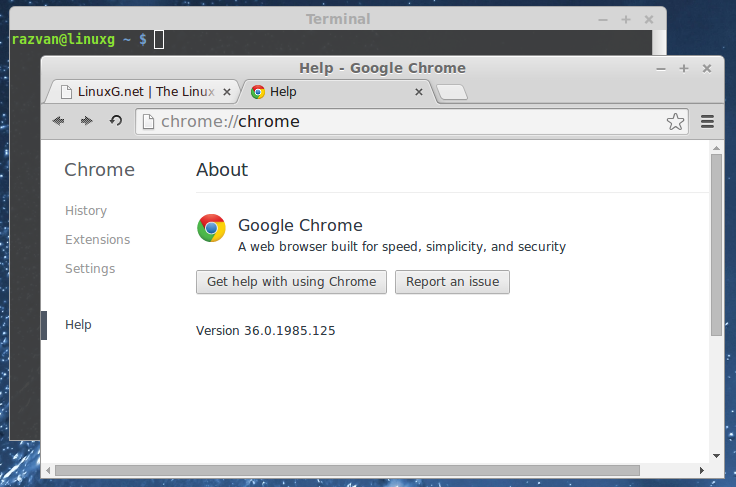 In this article I will show you how to install Google Chrome 36 on Ubuntu, Linux Mint, Pinguy OS, Elementary OS, Deepin, Linux Lite, Peppermint, LXLE, Debian, Fedora, CentOS, OpenSUSE, Mageia and OpenMandriva. ‹ Ubuntu 13.10 Saucy Salamander Has Reached EOL. Upgrade To Ubuntu 14.04 Now!! !